What Would Scholarly Publishing Look Like if We Rebuilt It from Scratch in 2019? Invited talk by Jon Tennant delivered at the NFAIS 2019 Annual Conference. 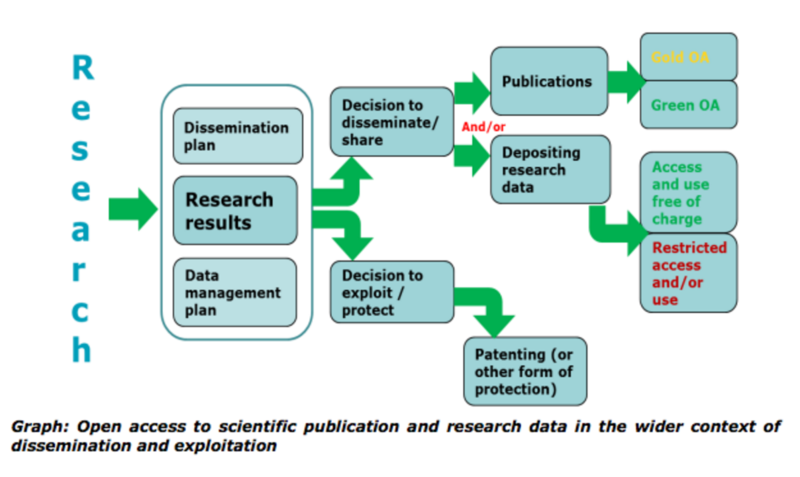 The FAIR principles were published in 2016 in a Scientific Data article titled 'FAIR Guiding Principles for scientific data management and stewardship'. These were developed to aid in the discovery and reuse of research data.FAIR stands for Findable, Accessible, Interoperable, and Reusable. Data that meet these principles are more optimal for reuse and discoverability and in turn increase your research's exposure.Here's how your data is more FAIR when it's on Figshare.Illustration by Jason McDermott of RedPenBlackPen. Slides from a talk given to the general assembly of Science Europe in Brussels on 22 Nov 2018. Gives an overview of the problems of over-metricised research evaluation and how this might be tackled, in part through initiatives driven by DORA, and how they are linked with drives such as Plan S to promote open science. Shared under a CC-BY-SA opinion (though Figshare doesn't seem to allow me to select that option from their drop-down menu). Presentation slides for Postgraduate Forum of the German Association for American Studies 2018. 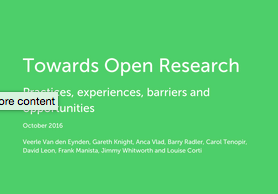 Alternative title: Selfish reasons for adopting open research practices in SSH research. The State of Open Data 2018 looks at global attitudes towards open data. It includes survey results of researchers and a collection of articles from industry experts, as well as a foreword from Ross Wilkinson, Director, Global Strategy at Australian Research Data Commons. In one of the largest surveys of researchers about research data (with over 7,700 respondents), Springer Nature finds widespread data sharing associated with published works and a desire from researchers that their data are discoverable. Empirical study examining the similarities and distinguishing features of scientific attention as measured by citations and public attention in online fora. ORBIT (ORCID Reducing Burden and Improving Transparency) Project which engages funders to use persistent identifiers to automate and streamline the flow of research information between systems. For the year 2016, 28.9 % of all peer-reviewed articles produced within the Finnish universities were reported as being OA. Figshare's annual report shows that open data has become more embedded in the research community: 82% of survey respondents are aware of open data sets and more researchers are curating their data for sharing. The current state of research software, a number of the challenges around it that exist in academia, and some potential solutions. This report explores the role of women in STEM and the challenges they face, looking at areas of gender inequality, exploring potential causes of this inequality and offering solutions. The perceived and actual barriers experienced by researchers attempting to do reproducible research. How to Make Your Research Open Access? For Free and Legally. The infographic shows how to achieve 100% Open Access for free and legally. A collection of thirteen papers that were intended to be unpublishable. All were submitted to predatory journals to expose non-existent peer review and exploitative practices. What Might Peer Review Look Like in 2030? A report based on the sessions at the SpotOn London conference held at Wellcome Collection Conference centre in November 2016. A webinar on how to access and engage with content and the importance of open access to scholarly research communication. Slides from my AAAS '17 talk, part of the panel: "Mind the Gaps: Wikipedia as a Tool to Connect Scientists and the Public"
Visual representation of selected ORCID integrations as listed on ORCID website. Results of a survey of Wellcome researchers to find out what they think about open research, how they practice it, and some of the barriers they face. A few slides comparing ResearchGate, Academia, Mendeley and others. Choice of data, methodology and indicators can produce seriously inconsistent results despite a common set of disciplines and countries. 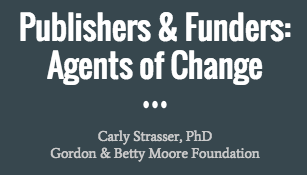 Funders and publishers have something in common: for better or worse, we have the ability to influence the behavior of researchers. A selection of analyses and articles about open data. Activity report from WikiCite 2016 (Berlin, 25-26 May 2016). A recent statement from Carlos Moedas told us that “as of the Work Programme 2017, the current Open Research Data Pilot will be extended to cover all thematic areas of Horizon 2020, making open research data the default setting. This means that as of January 1st 2017, all funded proposals will need to make all of the data and digital research outputs they generate openly available. A figshare case study of Micah Vandegrift's Digital Humanities research.